Rick Riordan has fans all over the world, including me. Readers love his books, in fact readers devour his books. In my day job as a librarian I am constantly asked by my students- when are the next books coming out. Well, I can finally say the next one is here now. Book two in the Trials of Apollo series offers more heroic adventures. The students who began with Percy Jackson continue to read these wonderful tales of mythological characters. It is not just children and teenagers who read Riordan’s different series but also many adults. 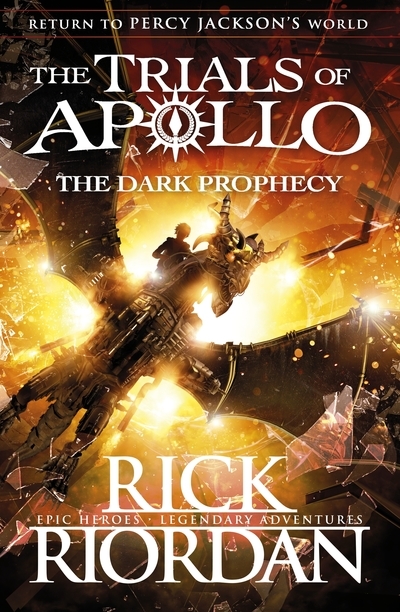 Take a peek at these book trailers to see just why Rick Riordan’s books are so popular. Check out his website as well for more details about his books. There are also heaps of ideas if you want to be a writer yourself.